IMPORTANT: See below for personalization directions. The handmade stole is made of crisp white cotton and backed with beautiful white satin. 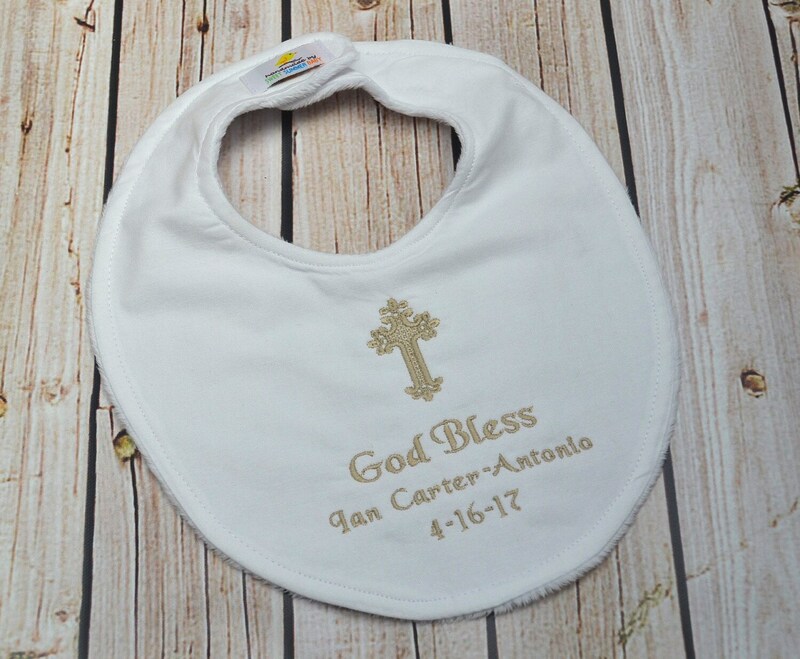 Price includes custom embroidery of child’s first and middle name and date of baptism on one side and beautiful decorative cross on the other. Stole measures 2.5 inches by 36 inches (18" on each side). Handmade, completely reversible, and made of high-quality 100% cotton fabric, these little crib shoes make a perfect accessory. 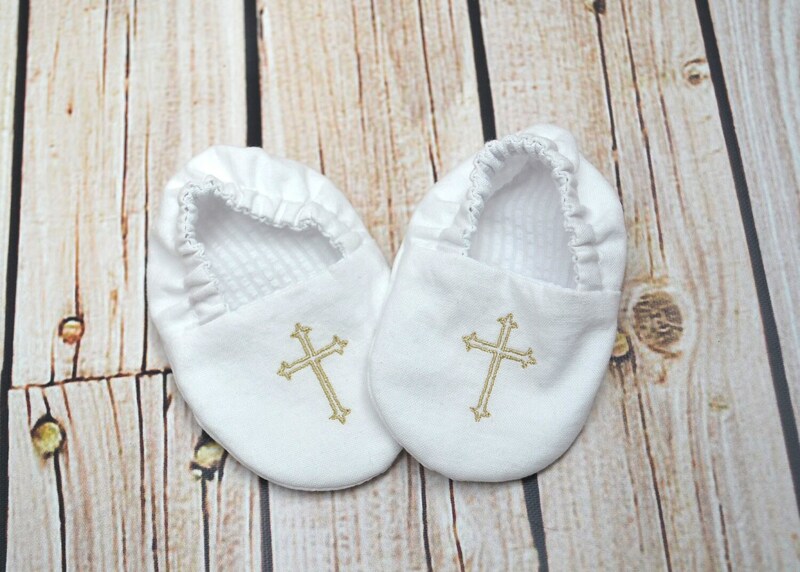 Price includes one pair of reversible baby booties and embroidered cross on each shoe. AMAZING communication! 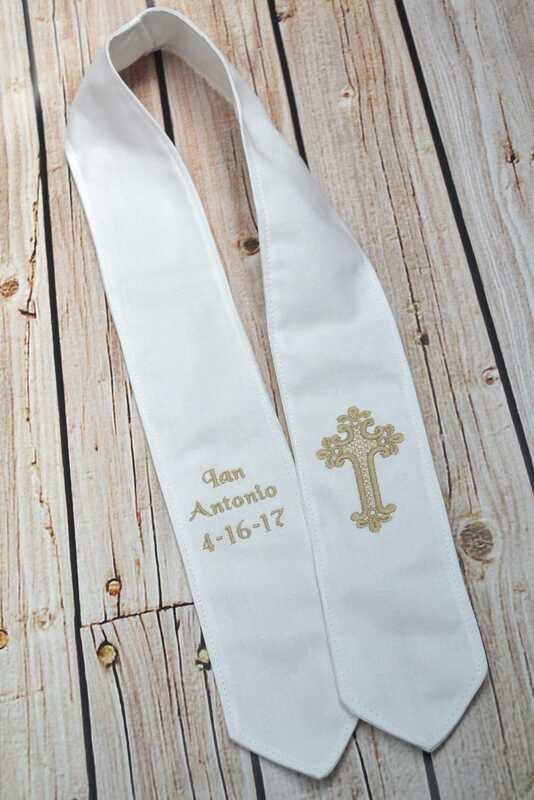 Made sure, last minute, that I had the stole in time for the baptism. 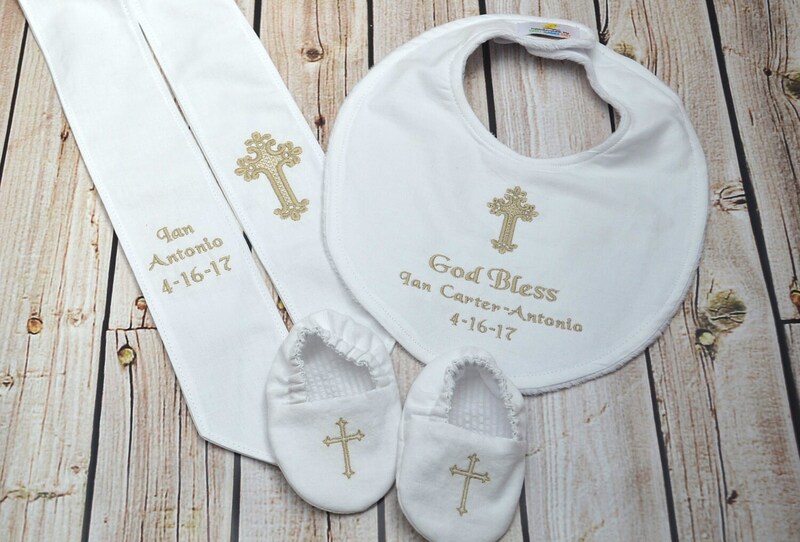 I’m so happy I ordered this set for my baby’s baptism. 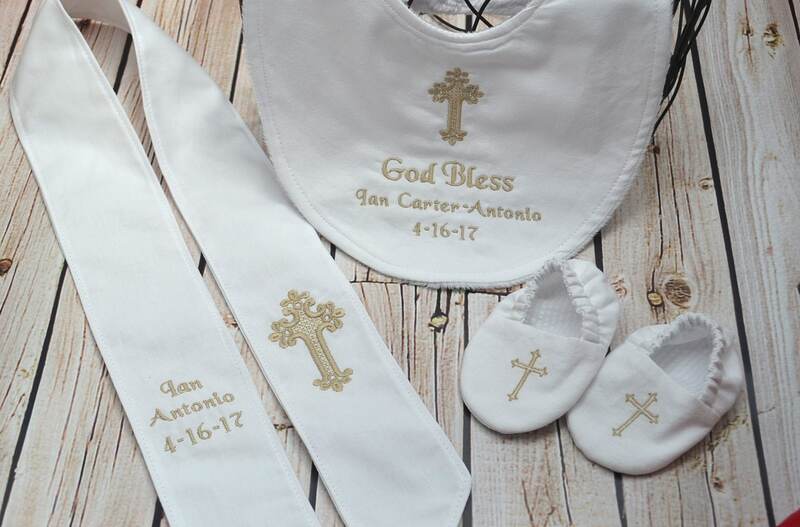 This personalized set is such a nice keepsake! 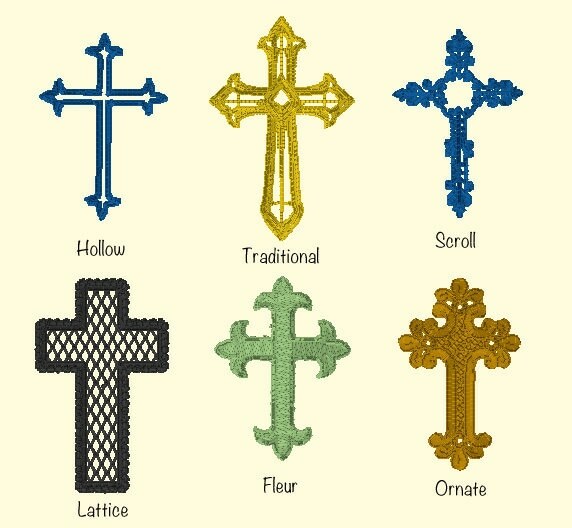 The material is very soft, stitching was beautiful & even nicer in person!